On Sunday, January 29, Nintendo of Canada is bringing the Nintendo Switch Preview Tour to Toronto’s Metro Toronto Convention Centre. In a massive 10,000 square foot event area, you'll be able to experience Nintendo Switch in original settings that highlight the console's various play modes. 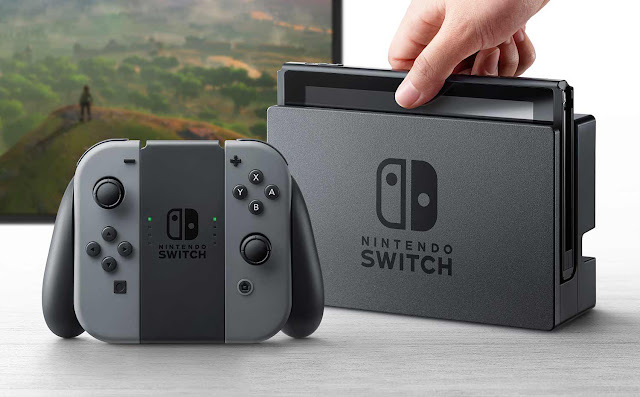 So far Nintendo has revealed many different ways to interact with Nintendo Switch, including connecting it to your TV, using a kickstand to hold it upright like a tablet, and taking the console on-the-go in handheld mode. The list of playable games has not been revealed yet, but I wouldn't be surprised if the line-up was similar to the New York kick off event. There, guests were invited to preview The Legend of Zelda: Breath of the Wild, ARMS, Splatoon 2, 1-2-Switch, Sonic Mania, Fast RMX, Disgaea 5, Has-Been Heroes, Just Dance 2017, Ultra Street Fighter II: The Final Challengers, Super Bomberman R, Mario Kart 8, and more. Even if half these games show up at the Toronto event, it'll be awesome. Nintendo of Canada has stated that Sunday's Toronto event is the only Canadian stop for the Nintendo Switch Preview Tour. Wristbands will be handed out beginning at 8 a.m. for three separate sessions taking place throughout the day. [10:00 a.m. - 12:00 p.m., 1:00 - 3:00 p.m. and 3:30 - 5:30 p.m.] Space is very limited, and wristbands will be provided on a first-come, first-served basis. Early arrival is highly recommended. Lineup begins at 7:00 a.m. Wristbands will begin to be distributed at 8 a.m. Please do not arrive earlier than 7 a.m. ET, as lines will not begin forming until that time. Minors (17 years of age or younger) must be accompanied by a parent or guardian.